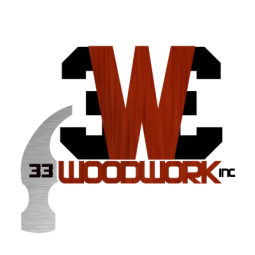 Welcome to 33 Woodwork, Inc., where quality work begins. For over 30 years in the woodworking field we are proud to serve you with our best quality in custom woodwork & remodeling.We specialize in sheet-rock work, custom made kitchen cabinets, bathroom vanities, bedroom sets, we also recondition antique furniture. Call today and set an appointment, you won't be disappointed! I chose to work in this industry because my father. I love living and working in the five boroughs of NYC. • Favorite Sports Team: NY Knicks & NY Giants.